Maybe, Maybe not. I’d have been hard pressed to name this base to a figure. 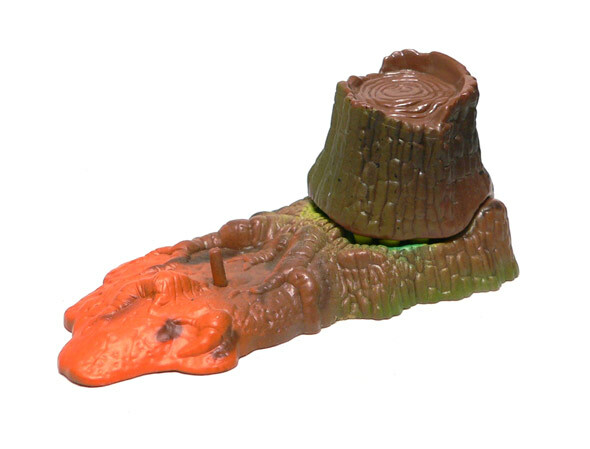 It appears to have had action feature removed before this stump was put into production. Looks like an old Swamp Thing toy but I can’t find any proof of that claim. It is not Swamp Thing. Excellent guess, and welcome to our comments section.